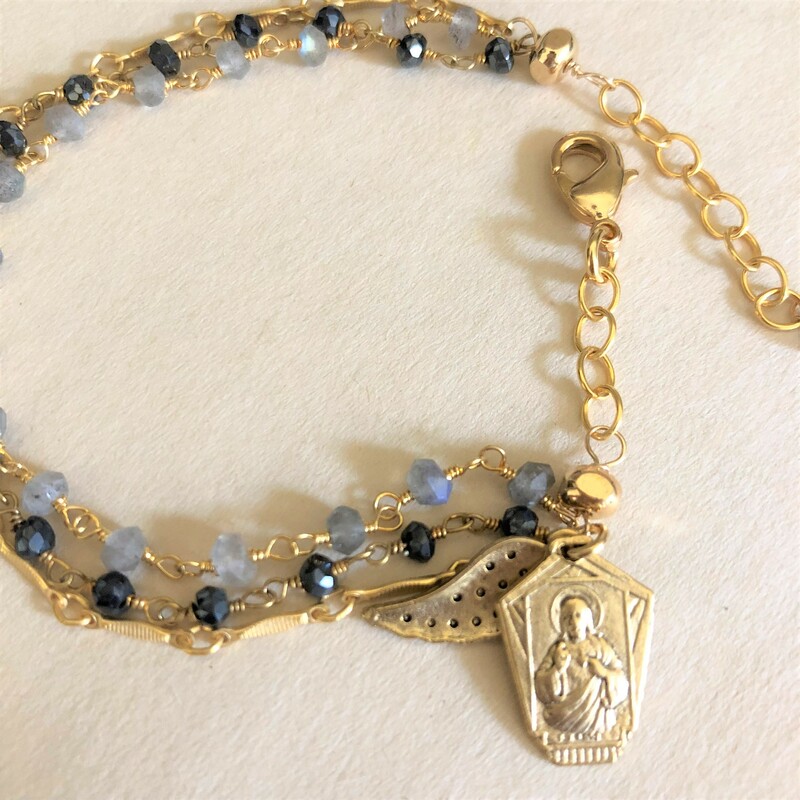 Three strand bracelet with sapphire and labradorite hand wired links and intricate chain adorning a petite scapular medal and angel wing. The medallion is imaged from an original antique European medallion. The chain and medallion are made in the USA with 14 K gold electroplating. 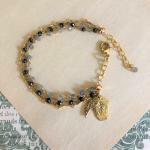 The bracelet measures 7 ½ extending to 8 inches. 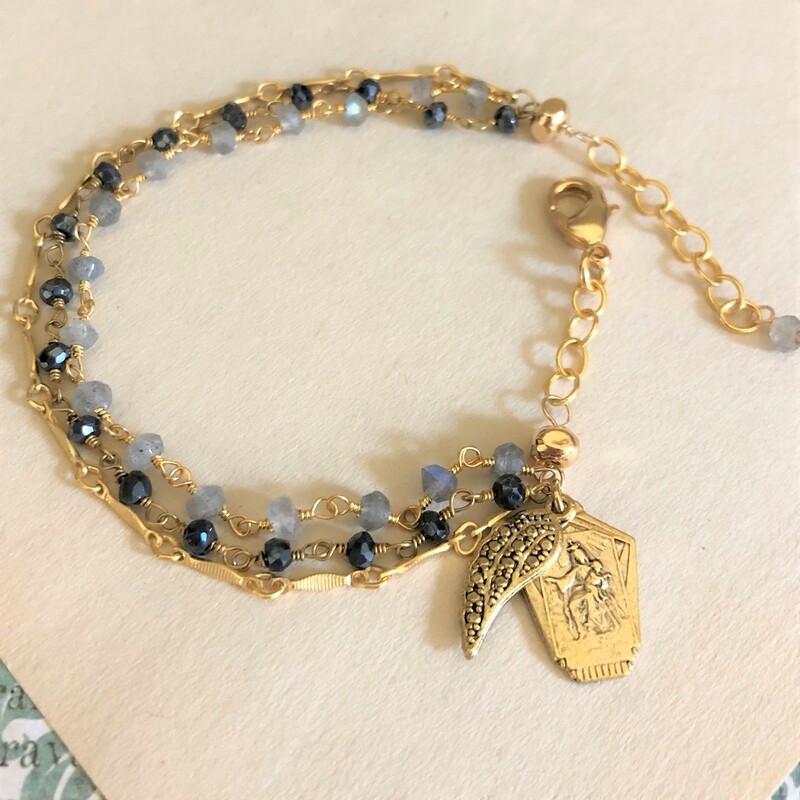 Each bracelet comes with a gift card that reads, ""Reinvented Vintage Medallions inspire beautiful jewelry, continuing God's love and grace as the jewelry travels."